Therm-All is an approved Sky-Web II® distributor. Sky-Web II® is a passive-restraint fall protection and insulation support system that protects workers from leading edge falls. 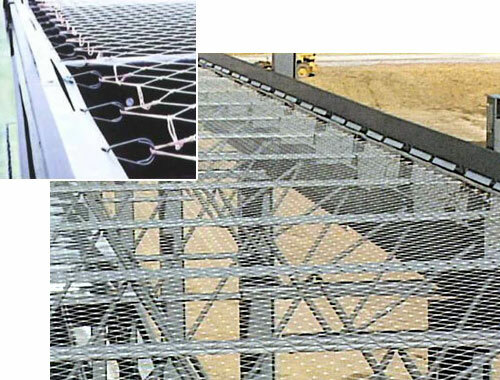 Sky-Web II® guards against objects that may fall during roof construction, thereby protecting workers below the netting, too. Improves production by eliminating the need for workers to tie-off lanyards, rig and unrig lifelines, etc. NOTE: Sky-Web II®does not protect against non-leading falls.